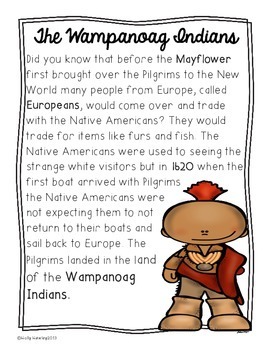 This non-fiction study is a perfect way to incorporate the Native American point of view on the first Thanksgiving. This can be used as non-fiction paragraphs for enrichment groups, centers, or an interactive notebook. 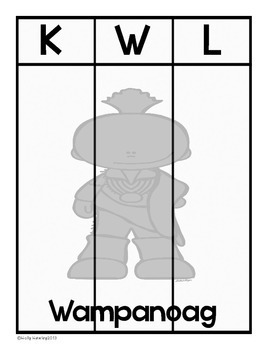 Each passage comes with a color graphic or black/white version for student's notebook AND a writing/comprehension component. In this unit there are 47 PRINT AND GO READY pages that are useable! Check out the preview for more details! 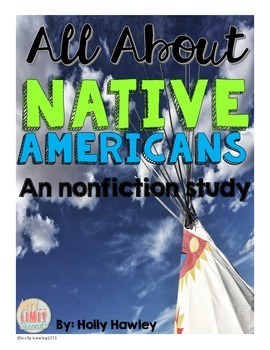 A Native American Non-fiction unit by Holly Hawley is licensed under a Creative Commons Attribution-NoDerivatives 4.0 International License.